MOUNT GILEAD — Morrow Little Theatre presents the historical drama “The Diary of Anne Frank,” April 12, 13 and 14 at the Capitol Theatre. The show takes you back to the 1940s in the height of Nazi Germany and the holocaust. The Frank family goes into hiding to protect their eldest daughter, who has been called up to report for “work camp.” The Franks hide with another family, the Van Daans, and a local dentist, Mr. Dussel. This is the stage adaptation of “The Diary of a Young Girl” by Anne Frank. The Franks’ youngest daughter Anne records life in a tiny attic as the group lives together over two years where tempers flare while the children grow. The cast brings to life this true story from some of the darkest days in human history. MLT is partnering with the Capitol Theater to stage this important historical drama. The cast consists of Jeremy Barr as Otto Frank, Betsy Anderson as Edith Frank, Danielle Harter as Margot Frank, Addy Bartlett as young Anne Frank, Emma Scott as Teen Anne Frank, Mitchell Gale as Mr. Van Dann, Erin Kelty as Mrs. Van Daan, Rodney Goodman as Peter Van Daan, Steven Goodman as Mr. Dussel, Kristy Goodman as Meip, Tucker Barton as Mr. Kraler, Patrick Kelty as SS Officer, Wayne Au as Nazi Soldier #1, and Alexander Kohler as Nazi Soldier #2. 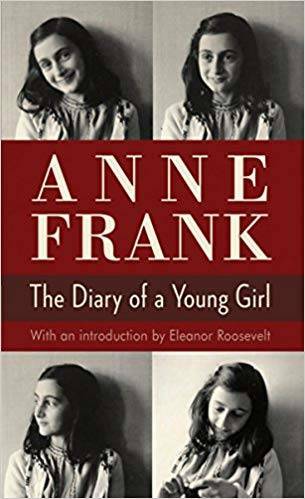 The play is dramatized by Frances Goodrich & Albert Hacket based upon “Anne Frank: The Diary of a Young Girl,” and newly adapted by Wendy Kesselman. Joey Powell directs this show, and making her assistant directing debut is Laura Wick. Tickets are $10 per person and can be purchased at the door or online at morrowlittletheatre.org.